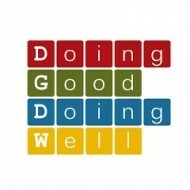 Mustard Seed is excited to return to IESE to host a pitching competition centred on tech-driven businesses as part of the Doing Good Doing Well conference on March 5th. We return to campus again seeking talented entrepreneurs who are committed to solving large societal issues leveraging technology. Mustard Seed welcomes submissions from ventures ranging from concept to early-growth stage. Please prepare submission materials (a deck or 2 minute video) that answer the questions below. Submission closes on Feb 25th!